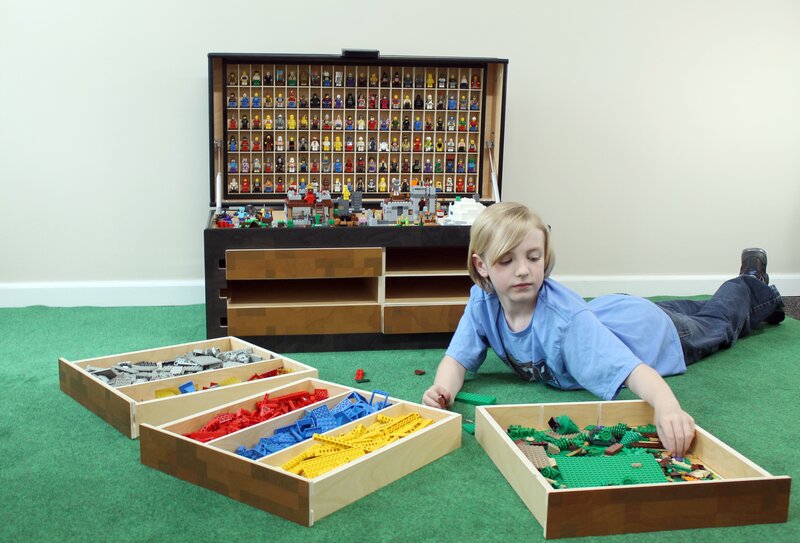 8-year old Maker, Lars Gerding, dreamed of way to keep his Legos organized. Until the Maker’s Chest was created, Lars kept his Legos in bins and tubs like any other enthusiastic builder. His jumbled storage system limited his ability to build. He often felt frustrated because finding a certain piece would take him a long time. 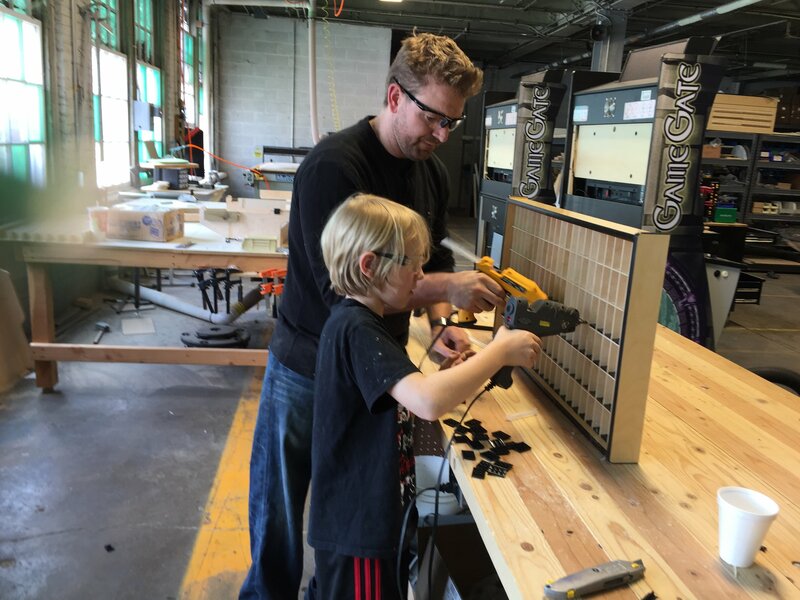 Lars and his dad, Chris, used the ‘iterative process’ to develop the Maker’s Chest. After several trial and error builds, they realized they were onto something. Lars didn’t want to make a chest for himself anymore. He wanted to share it with everyone. The very popular Minecaft YouTuber DanTDM visited the Cleveland Playhouse on June 25th. Dan inspired Lars to create his own YouTube channel, Larscraft Guru. Lars learned of Dan’s planned visit to Cleveland back in March. He really wanted to the chance to go to meet DanTDM. Mom made the experience possible, while Lars embraced the opportunity he had to meet his role model and started planning a surprise gift for Dan. Lars designed a special edition, one-of-a-kind DanTDM Maker’s Chest. Dan took it with him after the show. This was icing on the cake for Lars who simply wanted to surprise Dan with something he made. Watch and see how Lars made it! Building the DanTDM Maker's Chest start to finish. Larscraft Guru Launches on YouTube! Lars’ YouTube channel Larscraft Guru has caught the attention of Gamers, Makers and YouTubers. 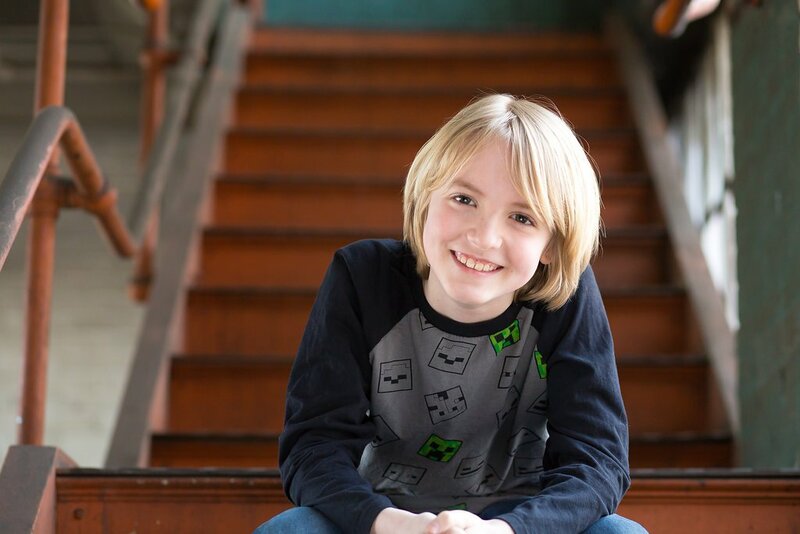 Lars is traveling to several major cities in the US in 2018 with the Minefaire convention. If you are planning on attending Minefaire in 2018, use the code: LARSCRAFT to get a discount on your tickets! Watch and learn more about Larscraft. He is Born to Build! The Larscraft Maker’s Chest selects and uses only the best materials. We want this beautiful piece of furniture to become an heirloom piece. You child will grow up with it and pass it on to his or her children and savor the fond memories of using it when they were young. We have chosen 0.5”UV coated birch plywood. We UV print the graphics onto the wood so it treats the wood much like staining it does. We use two lifters to hold up the lid while in use and there’s a little bit of magnetic magic in the latch system. The Makers Chest is a dynamic storage system for LEGO® bricks and toys. It cleans up the mess and helps reinforce organizational habits, teaching kids that, if everything has a place, it takes less time to find that perfect part. The chest has six trays removable trays. Each tray includes 2 dividers. The overall dimensions are 18″ x 18″ x 36″ (455mm x 455mm x 910mm). What does this mean? The Maker’s Chest can hold A LOT of bricks or toys. The Maker’s Chest ships preassembled. This is an heirloom piece of furniture. We spend hours painstakingly cutting, sanding, and assembling this Maker’s Chest. Each piece is handmade in our warehouse in Northeast Ohio. The Maker’s Chest uses traditional tongue and groove woodworking techniques. Additionally, it is glued and screwed to complete the sturdy assembly before we carefully wrap it and pack it for shipping. The best part (in our opinion) about this business is that Lars, the creator of the product, participates in the business as much as his schedule permits.